Welcome to your Eagle Landing homes and real estate search: The only search tool you will need to find a home in Eagle Landing. You can search all Eagle Landing real estate including new construction, short sale homes for sale, golf course homes and foreclosed homes for sale as well. The Eagle Landing real estate market changes daily, so make sure you sign up for our Eagle Landing home search, which will email you new listings and price changes daily so you don't miss out. Above are some of the most recent Eagle Landing homes for sale. If you want to search for specific communities or homes in certain school districts, please use the Advanced Search tool. 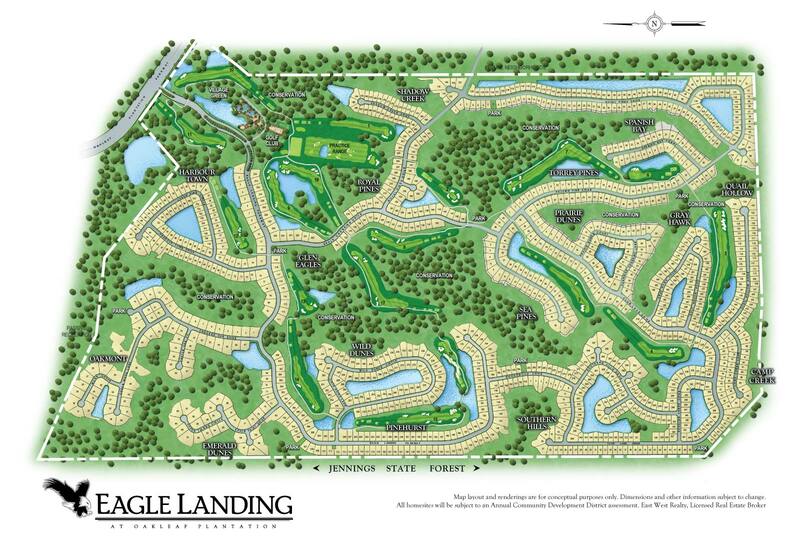 Eagle Landing is an amenity packed luxury community situated next to Jennings State Forest. Eagle Landing features luxury homes priced from from the low 200s to the high 500s. Whether you are looking for a low maintenance golf home or a large 4000+ sqft home, Eagle Landing has many options. Eagle Landing provides residents with amazing resort style amenities including a 18 hole golf course, clubhouse, water park, poolside cafe, cabana bar, 8 Har-Tru tennis courts, fitness center, ice cream parlor and so much more.